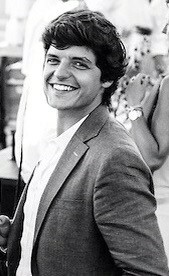 Meet Sebastião, a 30 year old, Portuguese student from the IMBA April 2014 intake. Could you tell us about your professional background and why you decided to come to IE? Before the MBA, I was helping raise the first fund for a new South American private equity firm based in Bogota. Even before joining the PE firm, I had considered enrolling into a MBA but the opportunity was so unique that I decided to postpone my decision. After close to a year in the firm, I realized that coming from Capital Markets (derivatives and structured products) and if I hoped to have a long-term career in private equity, I would need to build up my skills and business knowledge. Additionally, in private equity you rely heavily on your network and a MBA was a great opportunity to increase mine significantly. What is a typical day for an International MBA student? Intense! Classes start a 9am and finish at 3pm. Welcome to Spain and late lunches. Classes are fast paced and I need to be prepared (lots of pre-readings). A typical class starts with a discussion of a case and teaching notes I read before class, then there is a discussion for about 45min/1h where all the students are supposed to contribute and explain their point of view on the main issues of the case. The professor finishes the class with the main teachings and what we should remember and take to our professional life. On a typical day, I have 3 classes (1h 30min) and, in between, I will have 1h 30min to meet with my group and work on class projects. After 3pm, the day is not over, I still need to read the cases for the next day and plan another night in “la movida” (nickname for Madrid night´s life). What Networking opportunities are there during the International MBA? With over 80% international students, from all continents and different professional backgrounds, the networking opportunities do not get much better than this. But forget about the academic/professional “spiel”. The people I have met so far are absolutely amazing in every sense of the word. People with so many different past experiences and so much to teach me. Most of the networking I have done is during after-class activities (e.g. parties, events, trips, etc.) but the school also offers plenty of opportunities to network (e.g., cocktails, global village, etc.). Tell us about your work group experiences. When I heard people saying you learn more from your group that what you do from professors over and over again, I was skeptical. But I have to confess that it is one of the biggest truths I have heard since the beginning of the MBA. Working with a biologist major, a lawyer and an engineer forces you to think outside the box. I am a financier: I see the world in numbers, costs and profits. But not everyone sees the world that way. On the other side, it is very challenging. We are all smart people, we all have strong opinions and I had to learn to let go. That is real life. It is a great learning not only for my professional but also personal life. Can you speak about the entrepreneurial ecosystem at IE? When I joined the MBA I had the clear idea of what I wanted to do after the MBA: Private Equity. But when classes started and I began participating in the MBA events, I was struck by the entrepreneurial mentality at IE. I attended many weekly “Venture Network” days and saw dozens of new start-ups presenting their business ideas and getting feedback from potential investors. I also attended the Venture Day and was quite impressed by the panel and discussions. It was hard not to be tempted to actually create my own start-up around some of the ideas I had with such an ecosystem. Many of my colleagues just registered for Venture Lab and are now pursuing their ideas. In the end, for me, Private Equity is my goal and I have been exclusively focused on that for the last few months. But as I mentioned, even when you know what you want to do after, with such an ecosystem, it is hard not to be tempted. Which elective period options have you chosen/will you choose? Because I want to return to private equity, I am focusing mostly on finance classes. There seems to be many options with very interesting syllabus and professors. I am focusing more on Valuation and M&A/Corporate Finance classes. I will also take some entrepreneurship classes as I believe I can learn a lot from those. Entrepreneurship is something you can do independently or working in a company (e.g., looking for new products, new markets, new clients, etc.). How have you customized your IE experience in order to best prepare yourself for your future career plans? Well, there are two sides to this question: the academic and the non-academic. On the academic side, this is a tricky question because most of the customization will come in terms 4 and 5. So far, the MBA program has focused on the “Core” periods. In these, the program is the same for all the students and it covers all subjects from Finance to Operation and Marketing. In term 4 and 5 I will be able to choose the courses I want to focus on. As I am looking to move into Private Equity, I will be doing mostly financial courses. I feel this is a great opportunity for me to develop some hard skills that will help me stand-out when I am looking for position in a Private Equity firm. On the non-academic side, I have joined the IE Venture Capital & Private Equity Club and that has been a very useful platform to keep me involved on a weekly/monthly basis with PE events. I also registered for the “Financial Statement Modelling & LBO course” organized by the IE VC&PE Club and in the “IE PE Competition”, which granted me a spot in one of the most important business school PE competitions in Europe (RSM PE Competition). Finally, and I mention this because it is important, I talk a lot with professors that have had PE experience in their professional life, they are a source of invaluable information and are always available to help. How would you define your experience on the International MBA? Intense! I work hard and play harder. In a 13 month program, everything is more intense. Less classes means more effort in each one. Less time means you need to make the best out of it. There is no time to stop in 13 months. I am in Madrid for a limited amount of time so I need to take-in the most. I only plan to do one MBA in my life, so I better make it count. Finally, after the MBA it is back to reality, so I am enjoying the break and recharging my energy for a strong comeback to the professional life. November is in full gear and so is our new IMBA intake!Join us in Madrid for an Open Day on Friday, November 28th!